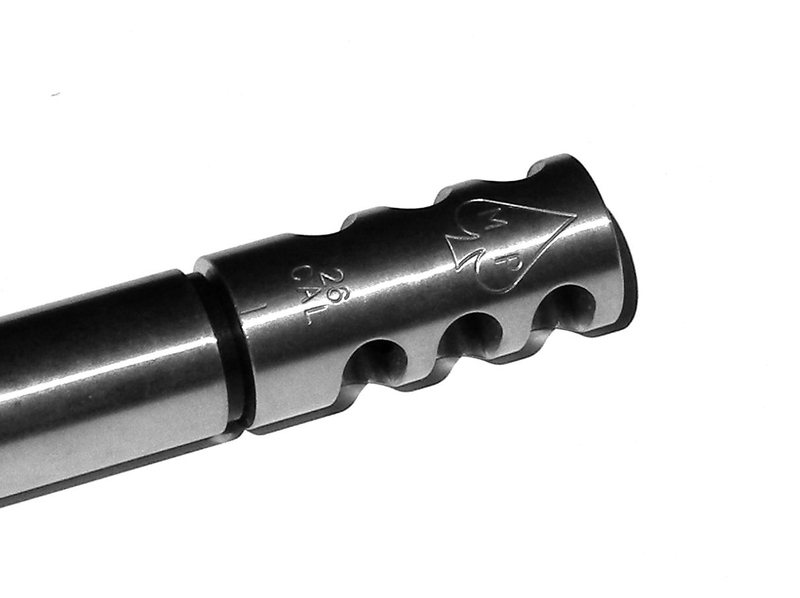 The McRee muzzle brake is made of stainless steel and has a multi angle 3-Gill design. Our recoil reduction is unsurpassed! The MP Logo insures that you have one of the best rifle products produced. DIY with a crush washer for indexing! Easy Breezy! We recommend that you pre-check and pre-set the crush washer thickness so that the brake is under indexed by 1/8 inch so that once tightened to the index mark you will not be introducing to excessive torque to the crown of your barrel. Consulting a known gunsmith for technical support is highly recommended.